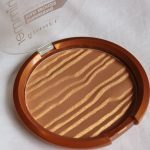 .Rimmel Sun Shimmer Bronzer in Sun Kissed | Review. 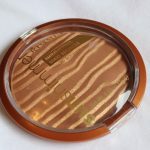 I love my Benefit Dallas Bronzer but it’s more of a strong brick red colour than golden bronze so i decided to invest in another for my makeup case in the form of Rimmel’s Sun Shimmer Bronzer. First of all, this pan is HUGE! 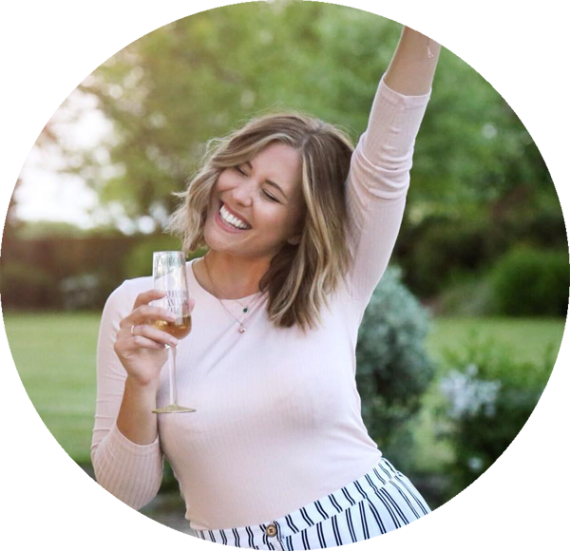 I couldn’t believe how big it was when it turned up – it’s nearly as big as my face! It looks beautiful with the waves of shimmer making it look like a sunny beach abroad.Sadly the shimmer lines don’t last as they’re just on the surface, but whilst you can’t see this much shimmer in the bronzer itself it’s still very brightening and light on the skin. I like to apply with large kabuki brush around the outer corners, down the centre and in the contours of my face for a pretty sun kissed glow. Although it’s a large pan it’s still really slim for your makeup case and the product inside is finely milled so it blends well – all big plus points for me. I think it’s a complete bargain for the price and i’m thoroughly happy with my new bronzer! I believe they do a slightly darker shade, but for my pale skin this shade is just right. You can find this gorgeous bronzer on the Superdruge website for just £6 HERE! Have you tried any Rimmel Bronzers? What do you think of the sun shimmer range?